Star Worldwide Group is the only company in India that offers a truly specialized and professional service for “fine art” handling & transportation. With our meticulous planning, extra care and a team of skilled packers and supervisors that are specially trained in the packing and handling of works of art, we offer premium quality service built around your specific requirements. Through the years, STAR has gained a reputation among the world’s leading Museums, Galleries, Artists, Collectors and Auction Houses, for unmatched reliability, time-sensitivity, industry expertise and the highest level of professionalism. STAR Fine Art Services are ISO 9001:2008 certified by the British Standards Institution. We are the only company in India to have been accepted by ICEFAT (International Convention of Exhibition and Fine Art Transporters) and ARTIM (Art International Meeting), a group of the world’s leading Fine Arts Logistics companies, driving excellence and quality standards within the industry. Packing and crating of artworks is a specialized service which demands deep understanding of artworks. Through years of experience and innovative design we have developed a full range of art packaging materials, in-house carpentry shop and standards to cater to International Gallery &AMP Museum specifications, whether it be traditional crates, travel crates, to high-tech cases, all built for the safe transport of your precious artworks. 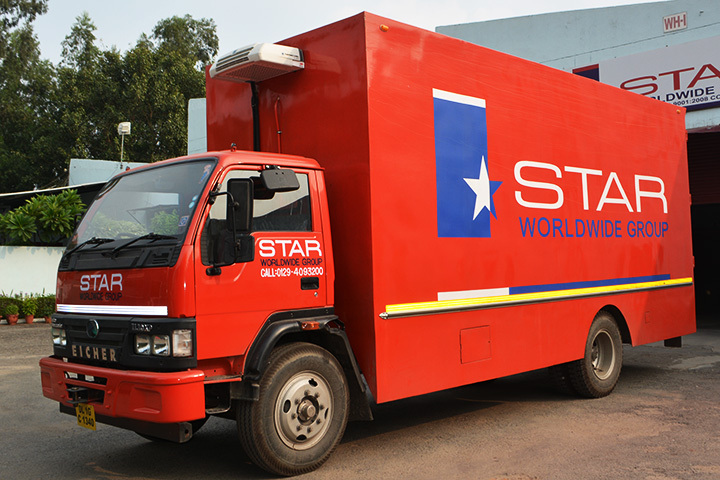 Star have fully owned locations throughout India and trusted network partners in more than a 100 countries, around the globe. We can work as your single point of contact for Traveling Events and Art Exhibitions across India and Continents. We understand that each project varies from the other and our project managers will plan and ensure that your specific requirements and handling instructions are well communicated with the relevant stakeholders. We have our own fleet of transport vehicles across India, including purpose suspension and air-conditioned vehicles for transporting delicate works of art. Our trucks are capable of controlling temperature, humidity, and exposure to the elements to ensure that the artworks travel in the conditions required to preserve them. Leaving a piece of art work unsupervised at the chaotic cargo terminals of the Indian airports can be very risky. The ground handling staff employed by the airlines handling agents at the airports are not trained to handle artworks and would treat your shipment of artworks as any other general cargo. The airline too is looking to optimise their payload and may not be attentive to the specific handling requirements while palletizing the crates. 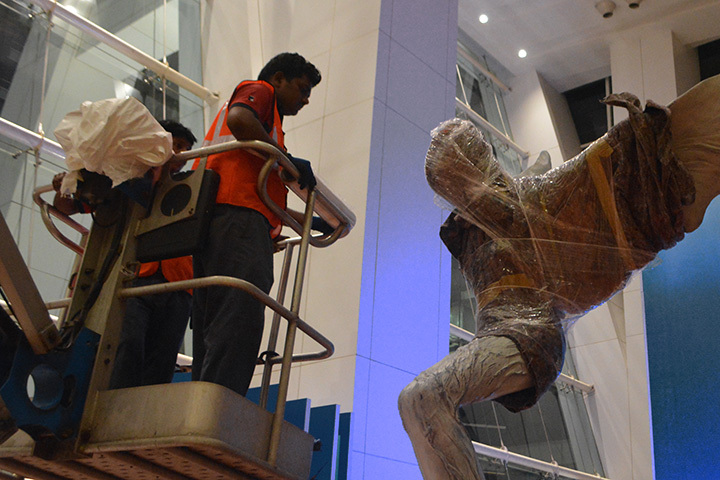 Our team at the airport can supervise of the handling of the artworks to ensure that move safely from the trucks to the airline pallets. 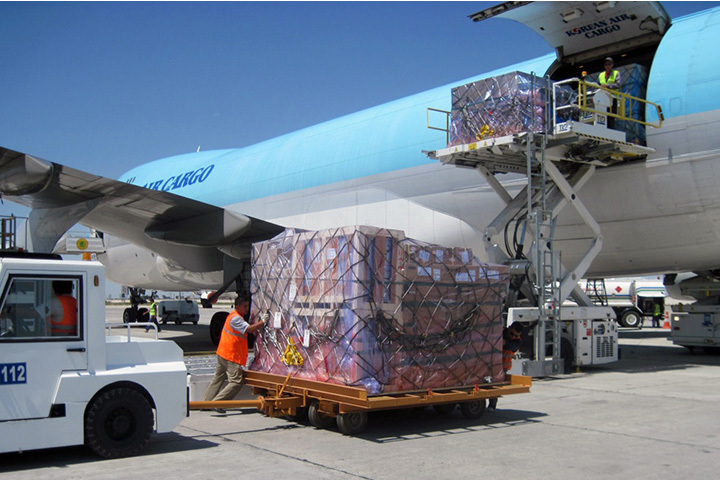 Our team will also supervise the airline have placed the artworks correctly on the pallets and that the pallets are well covered and secure from the natural elements. We have secure state-of-the-art storage facilities that are designed for storing fine art and other collections that require specialized handling and environment. 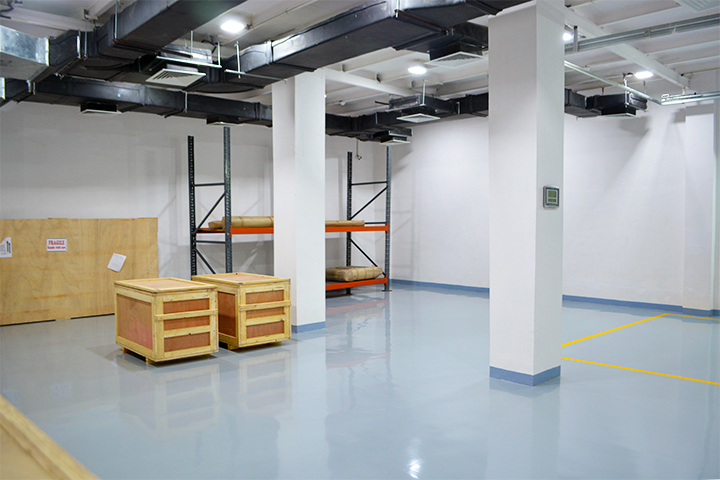 Our art storage features modern climate-control, CCTV, manned security, fire detection technology and backup generators. We have designed our storage to accommodate single items or a full collection, and our high ceilings enable us to store valuables of virtually any proportion. STAR has undertaken some of the biggest installation projects in India. Whether it is a small painting to be hung on the wall, a large sculpture required to be hoisted into hard to reach places, installing under time bound conditions before an opening of an event or air fair, we can do it all.